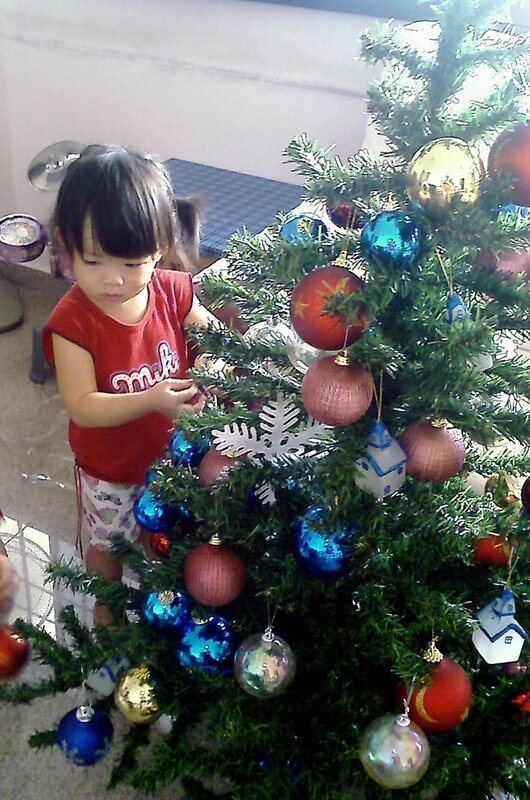 Show to you my X'mas Tree!After saw Kaiwen's X'mas tree, i want to decorate my own X'mas tree too. 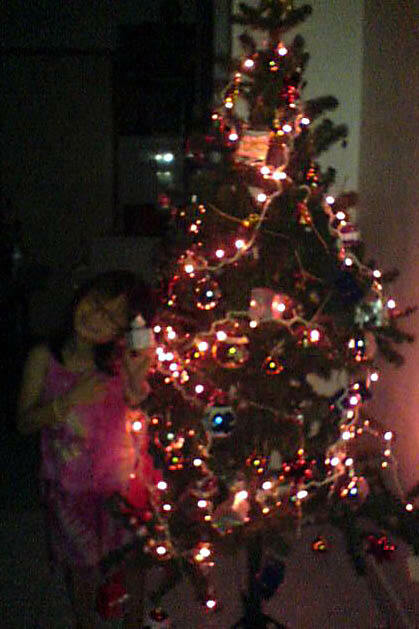 I'm sure Joelle will love the tree, just like my girl but because we don't celebrate X'mas she can only enjoy them at shopping centres. Ya i like the X'mas tree very much. If i refuse to go home now, mmy will say "lets go home to c your x'mas tree", then i'll WILLINGto go home! Wow, so good that could decorate the Christmas tree..sigh, until now i haven't seen any christmas tree selling here.